The good news is that taking the necessary steps now will help your lawn look great throughout spring, summer, and fall. Unfortunately, this can backfire, too, because there are things you can do to hinder your chances of a beautiful yard. Fortunately, it’s not difficult to get your lawn ready for spring. Here are some tips for you to get started. Throughout the winter, debris is to be expected in your yard. It’s probably full of rocks, twigs, and leaves. Removing all this stuff will improve airflow for your grass, which will encourage it to grow. Also, if you leave sticks and debris on your grass, you’ll end up with flattened areas or bald spots. As soon as it gets a little warmer outside, it’s time to go out and clear your property. You can ask the whole family to help to get this done quicker. 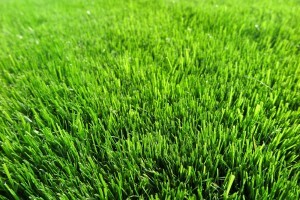 It’s possible that your grass has already grown a little bit, and you might be tempted to give it a trim. It’s best to resist the urge and wait a little longer. Considering that the cold season isn’t over yet, you should keep your grass at a reasonable height. Otherwise, you’ll end up with dead spots due to frost damage. What you should do instead is get the mowing equipment ready. If you wait until the grass is really tall and then find out that the mower doesn’t work, you may have a hard time getting the mower repaired quickly. It’s a good idea to perform some maintenance on your mowing equipment at the start of a new season, too. This includes sharpening the blade, replacing the filter, and giving it a good cleaning if you didn’t do that last fall. One thing you shouldn’t skip this time of year is to test the soil. By taking a sample from different areas of your yard and sending it off, a lab can analyze the contents. This helps you and your lawn service provider find the best treatment for your lawn during spring and summer. A soil analysis can help you determine the pH level, acidity, and other nutrient content of your soil. Having this information can be invaluable when you’re planting new landscaping or just trying to keep your lawn healthy and green. If you don’t have the time or inclination to get your lawn ready for spring, you don’t have to do this yourself. 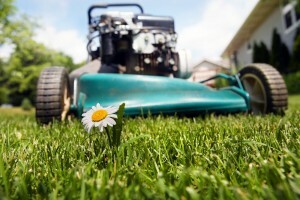 An expert lawn service in Atlanta can handle everything for you. But you should make sure that they test your soil, too, because without knowing what’s in the ground, it will be more difficult to find the best treatment.